According to statistics from the International Anti-Counterfeiting Coalition (IACC), the total value of intellectual property (IP) rights-related seizures was about $1.22 billion in 2014. Leading IP abuse investigators predicted that the estimated value of cross-border trade in counterfeit goods and pirated physical products would reach nearly $1.77 trillion in 2015, which is the most recent prediction available. More disturbingly, a link between the sale of counterfeit products and terrorism has been made by the IACC. Through their research, it is believed that terrorist organizations are using the sale of counterfeit goods to launder money and to further their activities. There are a couple of reasons why the distribution of counterfeit goods remains a serious problem. Demand. 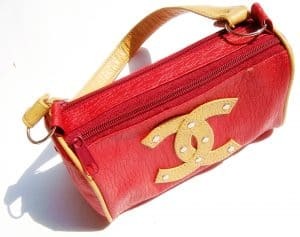 Many people are willing to purchase counterfeit merchandise because of the lower cost and because they perceive that fake goods convey a degree of status similar to that of the authentic items. Online Retail Fraud. The proliferation of counterfeit goods can be attributed to the commercial capabilities of the Internet. For example, most people believe that if an item is for sale on eBay and is advertised as authentic, then it must be legitimate. What they do not realize is that eBay is an auction venue, not an auction house, and as such does not automatically authenticate anything for sale on its site. [Editor’s Note: As of October 2017, eBay has launched an authentication service for certain luxury handbags; the service will reportedly be expanded in the future to encompass additional luxury goods and brands. This service comes with a fee and is unlikely to decrease the overall volume of online counterfeit sales; however, it is intended to significantly reduce those harmful incidents wherein customers who paid for an authentic product received a fake one.] There is little comparative oversight on websites, and, therefore, the authenticity of product sold online can be easily misrepresented. It is incumbent upon trademark holders, retailers, and consumers to ensure the quality of the products we make, sell, and buy. Companies often use outside counsel whose specialty is trademark enforcement when investigating potential counterfeiting incidents. Investigative firms specializing in trademark enforcement can also be a valuable tool. These firms are mostly made up of former police officers and detectives with contacts in local jurisdictions and can be valuable in large city environments. Since most cities’ law enforcement resources are focused elsewhere, these firms offer an alternative to getting the police involved initially. The agency will conduct surveillance, make buys, coordinate with the local authorities, and, if necessary, initiate arrests. They will also present themselves in court for both criminal and civil proceedings as expert witnesses on counterfeiting. The major impact of counterfeiting is with the intellectual property owner—the designer who owns the trademark. In the long run, a brand is devalued if the counterfeiting of its product is too widespread and no action is taken to combat the problem. Other businesses are also affected. Not only are retailers hurt by sales lost to illegitimate sources, but they are also subject to potential liability lawsuits and negative publicity even when they sell counterfeit goods unknowingly. Consider what happens when a person buys a counterfeit item on the Internet and then returns it to a retailer who has a liberal return policy. What are the implications if the item is then erroneously put on display and sold to a customer? It is not only high-end or e-commerce retailers that are vulnerable to these situations. Drugstore chains, auto parts stores, and discount retailers are also affected. If the item is something that could be potentially health threatening, then the liability implications could be enormous. In the end, the distribution of counterfeit goods affects us all. It affects the trademark owner by devaluing their trademark or brand. It places retailers in a situation where they must guarantee the quality of the products they sell or face potentially serious issues of negligence and culpability. And it affects the consumer who purchases luxury goods for their high quality or other products for health benefits. To read the entire article, check out “Trademark Enforcement,” which was originally published in 2004. This excerpt was updated October 19, 2017.